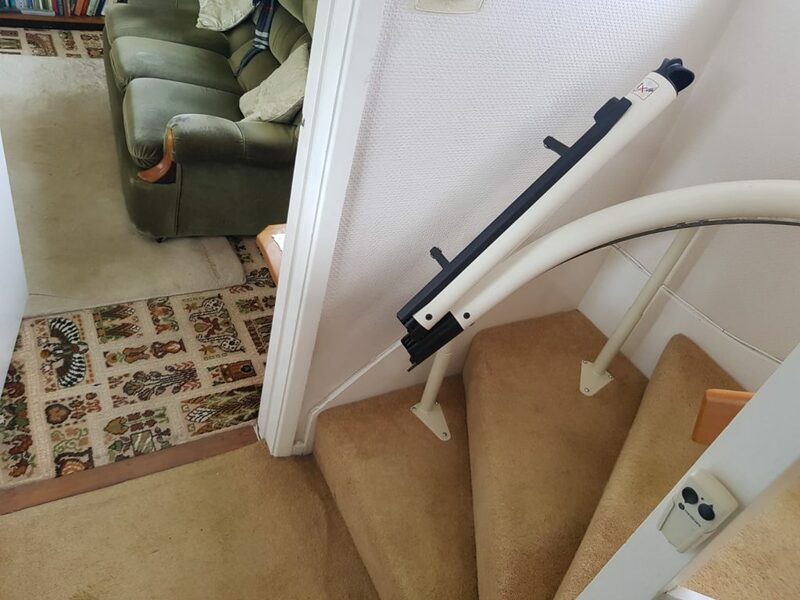 Our Surveyor was asked to visit and assess for a stairlift for the lady at this property in Bungay. The lady had long legs and the staircase was narrow with an unusual situation at the foot of the stairs. Initially we did not think we could safely install here. However, to establish this one way or another a full technical survey was undertaken to see if it could work! 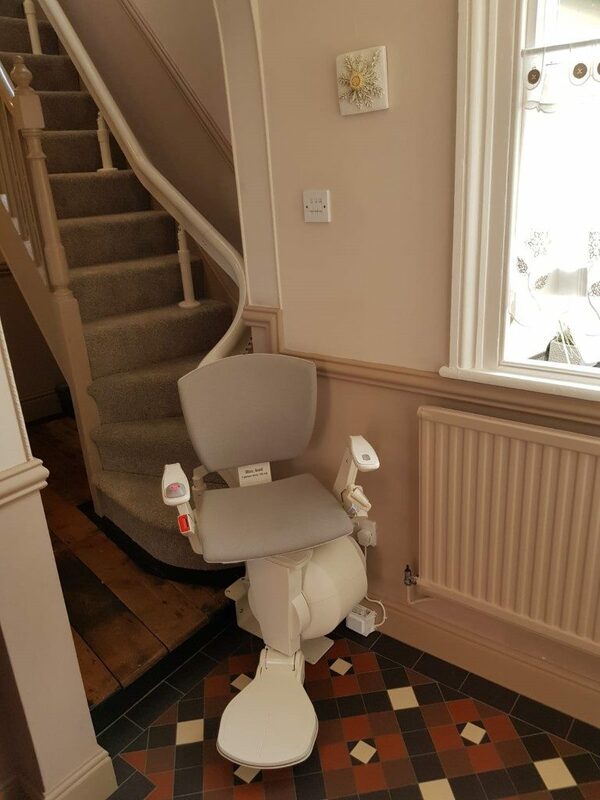 The situation at the bottom of the stairs required some forethought to work out the best method of parking the stairlift and avoid touching the original floor tiles here. The Otolift Air allows for rearward travel. 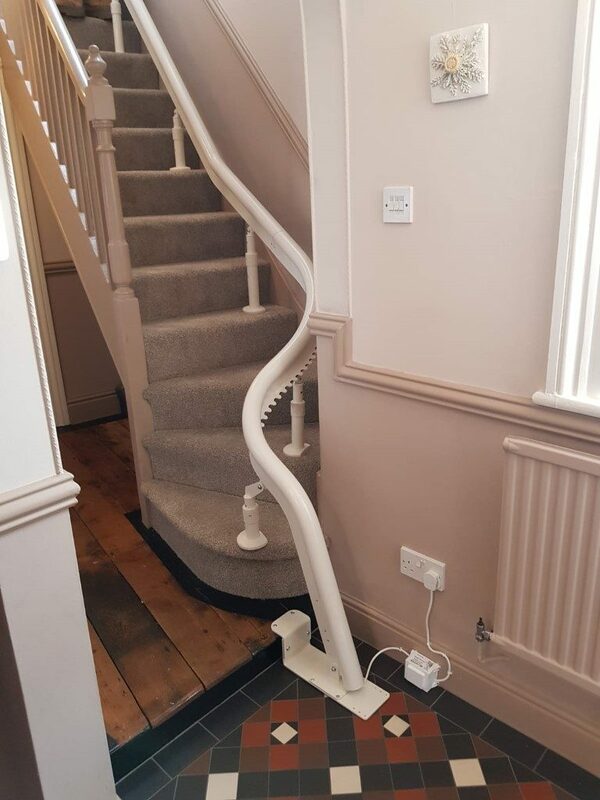 This means the stairlift turns to a preset angle before climbing the stairs. 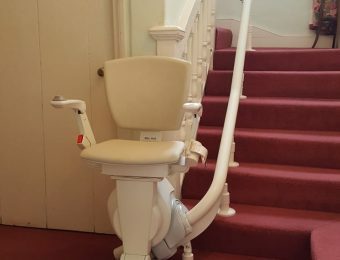 At the stairtop (or on the landing) the chair will turn itself back the correct way. 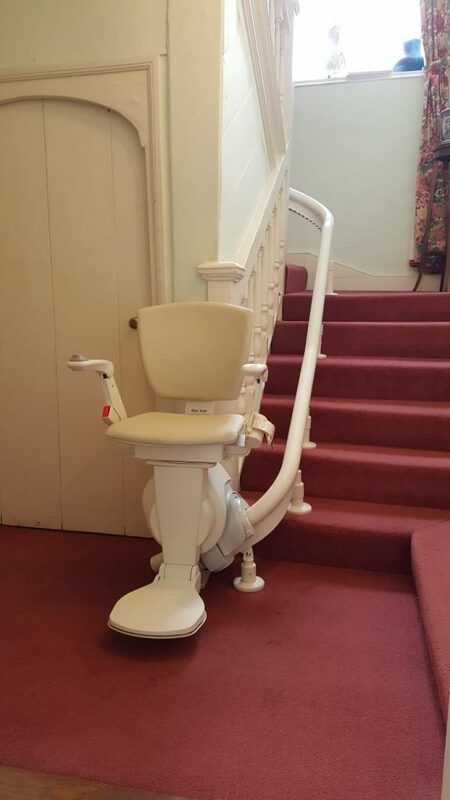 This cures the “Long Legs/Narrow Stairs” problem. The period floor tiles were left untouched. 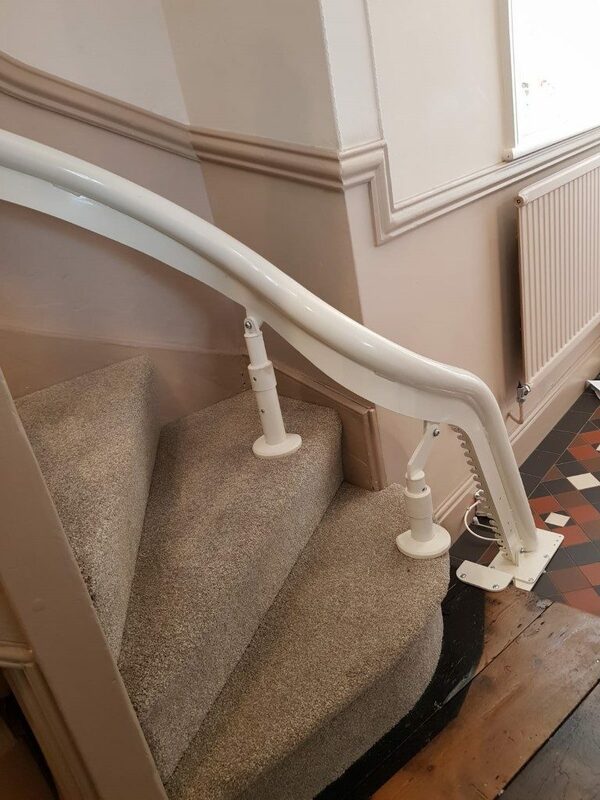 A drop nose rail end was specified that is secured to the step in the hall without tiles on it. The design was finalised with the stairlift parking on the lower part of the hall next to the radiator here. 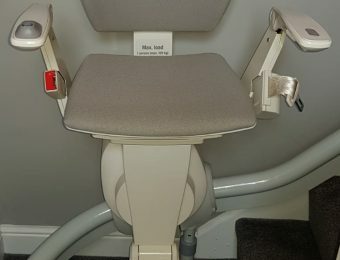 The Air has the ability to swivel the seat both ways. This really helps the lady seat and stand as the whole length of the hall can be used. The seat will turn the opposite way onto the main landing. 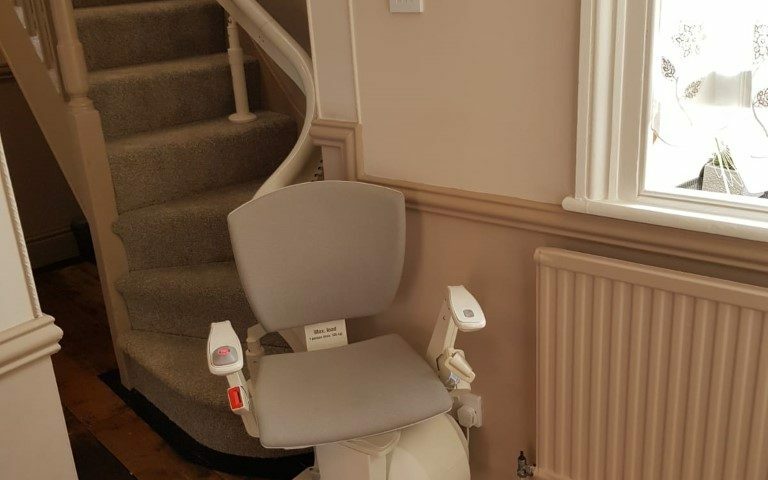 You can see in the pictures that although the stairlift has been moved away from the bottom of the stairs where space is tight it now parks on the lower, tiled area. 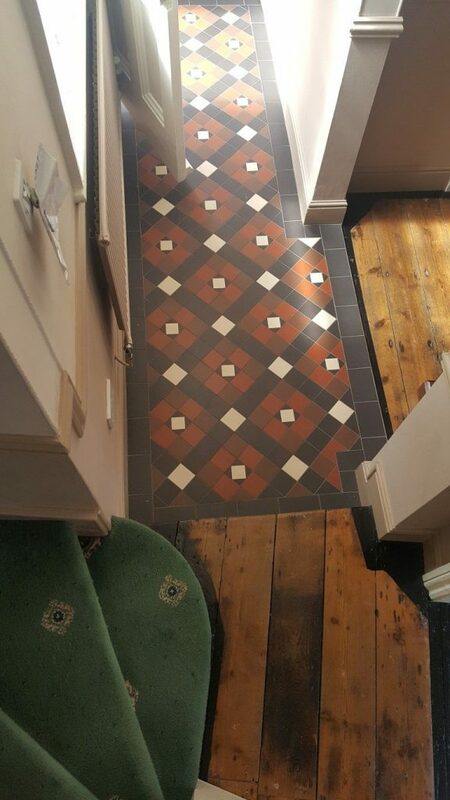 A bracket has been used (fixed to the wooden step in the hall) so that the tiles remain undamaged. 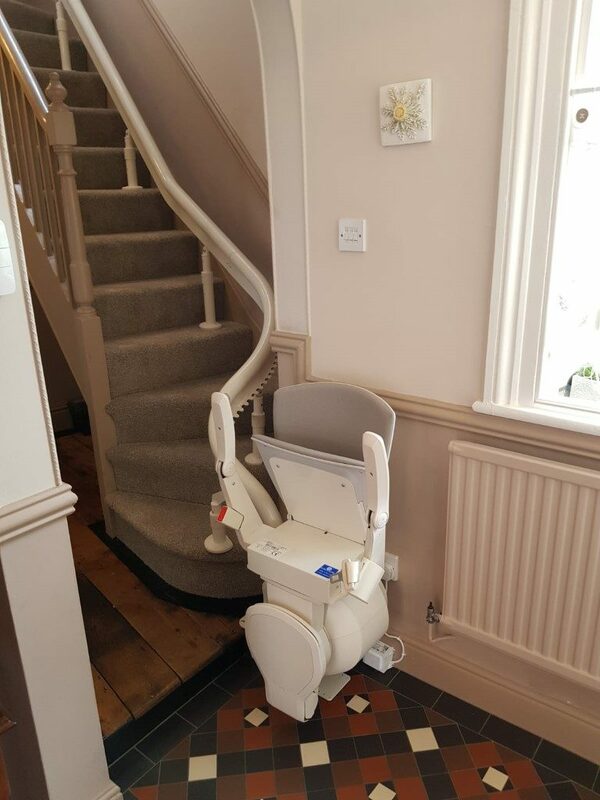 Stairlifts are usually secured into the stair treads. 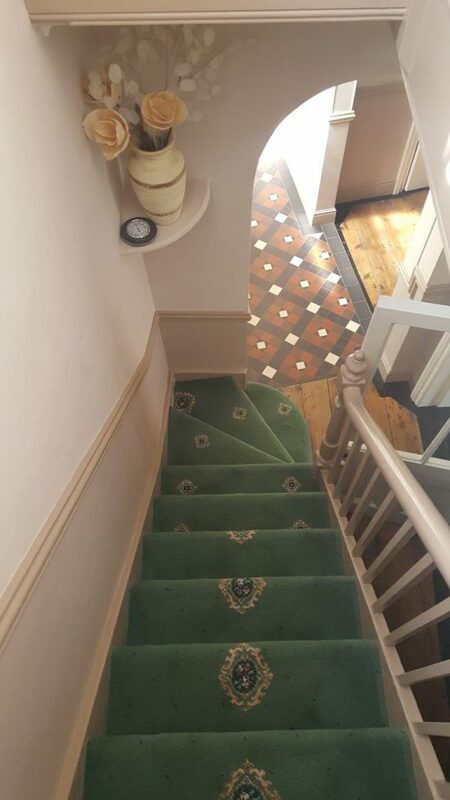 You may notice that the lady took the wise precaution of changing her stair carpet before the stairlift rail was installed. 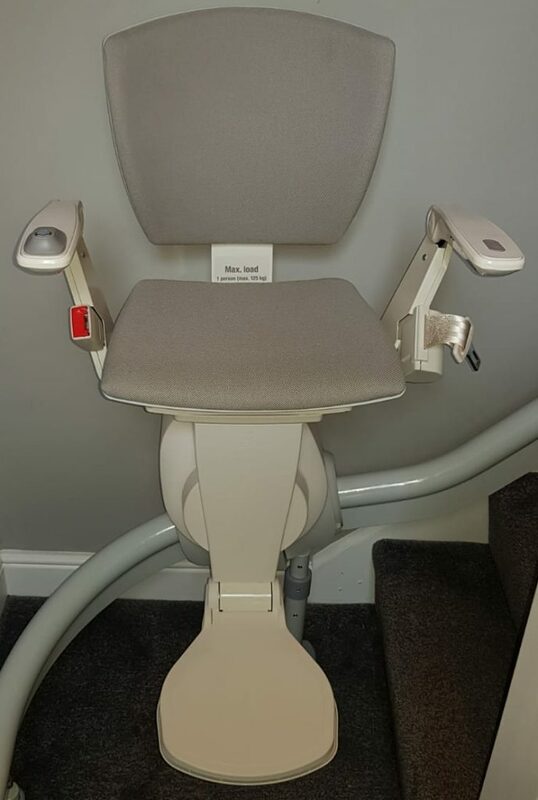 Another happy customer with a high quality Otolift Air stairlift that will provide a safe and reliable method of keeping the upstairs of the home usuable for our customer. We have a showrooms located in Hingham NR9 4LF.